We’re ready to make your escapade amazing. 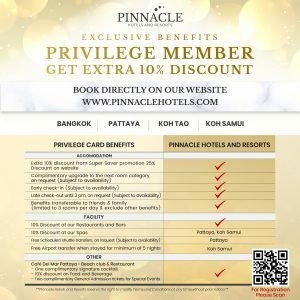 With inquiries, questions and any other information needed, please contact Pinnacle Grand Jomtien anytime at call +663-825-9100, e-mail prjreserv@pinnaclehotels.com or Facebook Messenger @PinnacleGrandJomtienResort. We will assist you within 24 hours of receiving your message.